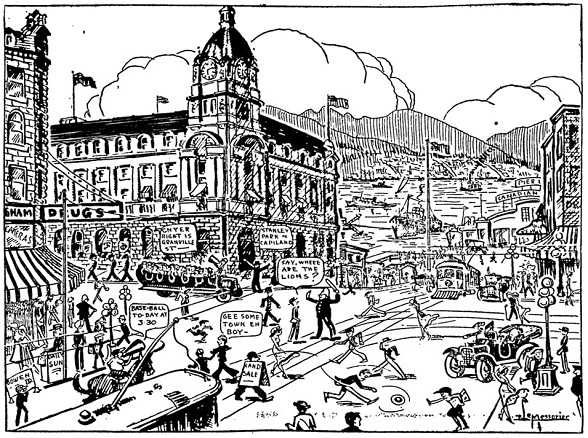 Stevie Wilson over at Scout Magazine has posted a fascinating article about the history of Vancouver in Comics. Editorial Cartoons, Fanzines and the like are apparently a great resource for first-hand historical records. They are so good, in fact, that the UBC Library had a trial archive on their website up until March 16th. I’m rather miffed that I hadn’t heard about it until now, so write an e-mail to rare.books@ubc.ca and let the faculty there know that we want to see the history of Vancouver in comic book format.